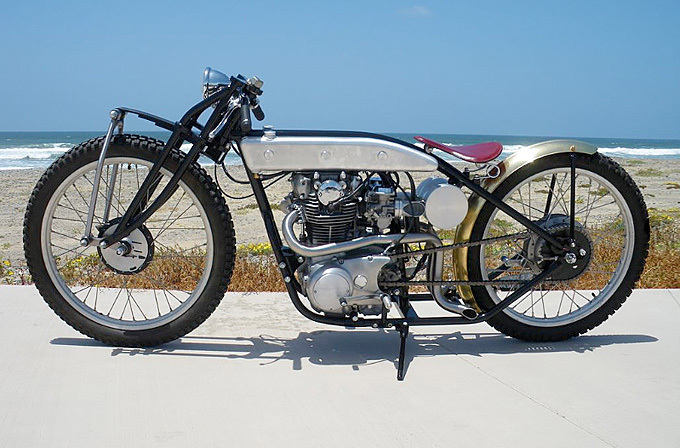 It’s not every day you see a Yamaha boardtracker – especially one of this calibre. It wasn’t long ago that this one of a kind XS650 created a lot of attention when featured on XS650Chopper. Built by the talented Nick Stringer from Metal Head Fabrication in California, it recently picked up Iron Works Bar Hopper 1st place at the LA Calendar Motorcycle show. Amazingly Nick was so humbled by his competition at the show that he didn’t think his creation would even pick up a place, so ended up missing the awards. When the winner was announced – SFX: Crickets chirping – he was actually sleeping under a tree, catching up on the lack of sleep from the night before. He must of been the only one surpised when he won because even Shinya Kumura gave his nod of approval. 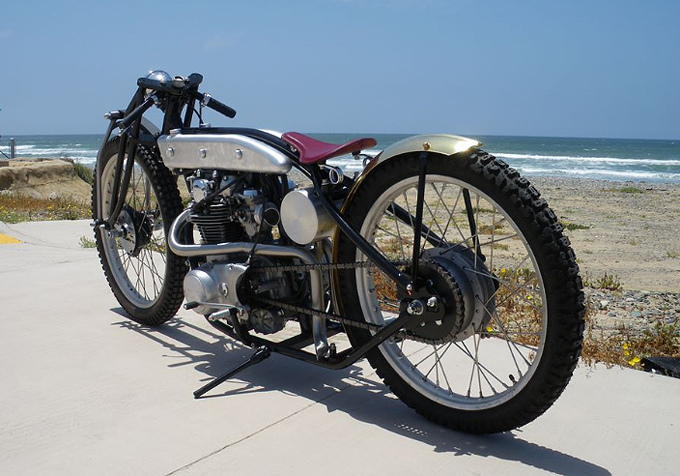 The beautiful slender tank and the all brass rear fender are truly works of art. To see more photos of this special build, check out the Metal Head Cycles website.